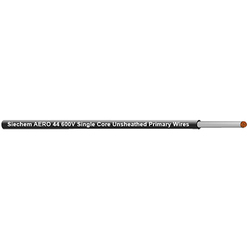 Siechem is India’s No.1 leading manufacturer & exporter of Power Cables. These cables are manufactured with EC grade copper / aluminium conductor with EBXL-XLPE / PVC insulated, armoured or unarmoured and PVC / FRLS outer sheath for use in state electricity boards, utilities and industrial application. Direct burial and underground burial where mechanical damage risk for cables. Enhanced Mechanical, Electrical, Thermal Weathering properties. Conductor: Aluminium conductor complying with BS 6360. Insulation: Electron Beam Cross-Linked Polyethylene 120°C. Better resistance to most chemicals acids. Transmission and distribution of Power Industrial units. 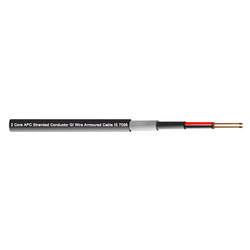 Conductor: Annealed Plain Copper conductor complying with BS 6360. Insulation: Electron Beam Cross-Linked Polyethylene 120 C.
Jacket: PVC Complying with BS 6746. High Insulation resistance at elevated temperature. Color : As Per Customer Order.